While decreasing levels of estrogen are a normal part of aging for women, it can lead to adverse effects: weight gain, muscle weakness, decreased collagen, and increased risk of cardiovascular disease can all be caused by low estrogen levels in menopause. Fortunately, there are options for balancing hormones during menopause. One popular treatment choice is bioidentical hormone replacement therapy. Bioidentical Hormone Replacement Therapy: What Is it? But BHRT can help make the transition easier and can help maintain normal levels of hormones. Whether it’s one symptom or multiple, BHRT can help alleviate the effects of menopause. This may be especially helpful for the 21 million women in the U.S. experiencing hair loss. Menopause is a difficult time for most women, but with BHRT it doesn’t have to be. Could BHRT Be Right for You? While a drop in hormones is natural and unavoidable, you can take steps to minimize the side effects of this process. Women who experience pre-menopause symptoms may have to look into hormone replacement options before other women. But it overall depends on the woman — some women go through menopause with minimal issues. Other women may experience adverse effects before they even start menopause. And while BHRT is not the only option for hormone balancing, it is a safe and effective method that’s worth considering. Growing old is unavoidable. And while there are some unpleasant side effects of lowered estrogen, women can take action and get their hormones back in balance. 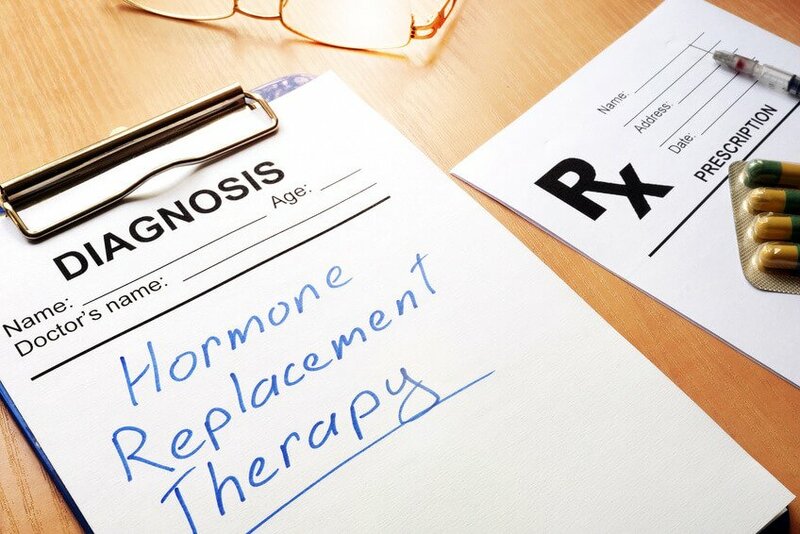 So if you’ve been wondering about hormone replacement, ask your doctor is BHRT could be right for you.